This second issue of the IAIA MFA Quarterly, to be published four times a year, highlights the publications and writing-related news from our MFA community. Read more to find out how the IAIA MFA students and alumni are transforming the literary landscape. Interested in joining our community of writers? Our application deadline is April 15—learn more and apply! The MFA Quarterly Journal is published October 15, January 15, April 15, and July 15 of every year. Students, alumni, and faculty mentors: please send any news, photos, links, or updates to Interim Director Jennifer Foerster at jennifer.foerster@iaia.edu. Elee Kraljii Gardiner (First Year) from Vancouver, BC, just published her second full-length poetry collection, Trauma Head, from Anvil Press, Nov 2018. She is releasing a non-fiction work, Against Death: 35 Essays on Living, from Anvil Press in Spring 2019. Trauma Head, the chapbook (Otter Press 2017), has been shortlisted for the bp Nichol Chapbook Award. 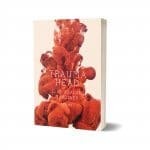 CBC Books named the full-length collection, Trauma Head, among the 8 Canadian Books We’re Excited to Read in November. Elee is a visiting poet in the classroom, through Poetry in Voice, doing high school poetry workshops throughout the Vancouver area. She will be at Neurological Imaginaries at York University in Ontario Feb 12, 2019, presenting a reading and doing an interview, and will speak on a panel at Growing Room Festival in Vancouver in March 2019. Zoë Johnson (First Year) has a forthcoming flash prose publication, entitled “Sticky,” coming out from Sonora Review Online. “Sticky” made it to the final round of judging in the Sonora Review’s most recent flash prose contest. 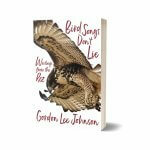 Gordon Lee Johnson (First Year) has just released a collection of essays and short stories, Bird Songs Don’t Lie, published by Heyday Books. Gordon Johnson (Cahuilla/Cupeno) lives on the Pala Indian Reservation in Southern California. Read more about Gordon in the Los Angeles Times. We’re pleased to announce that MFA grads, Angela C. Trudell Vasquez (’17) and Millie Kingbird (’16), will be the guest editors for the Spring 2019 issue of Yellow Medicine Review (YMR). The deadline for the YMR Spring 2019 Call for Submissions, “Language & Identity/Body & Borders,” is March 15, 2019. Submit up to three poems, flash fiction pieces, or lyric essay to editor@yellowmedicinereview.com, and view the submission guidelines. Kyce Bello (’17) has been selected as the winner of the 2018 Test Site Poetry Series Prize with her book of poems, Refugia. Refugia will be published and distributed by the University of Nevada Press in the Fall of 2019. Chee Brossy (’16) will be published and featured online at Prism International for his story in the Literary Journal’s Winter Issue. Jeff Carnet (’15) has a short story, “Horror Without Borders,” accepted for an international anthology of horror flash fiction stories. The anthology will appear both in English (only as an ebook) and in Russian (as an ebook and a printed book). 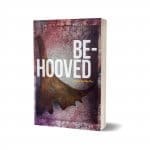 Mary Kancewick’s (’16) big news is the February 15, 2019 release of her poetry collection, Be-hooved, by the University of Alaska Press Literary Series. The cover features the work of Inupiaq/Athabascan artist Sonya Kelliher-Combs. Sasha LaPointe (’17) read in November at The Elliott Bay Book Company. The reading was co-presented with the Indigenous Peoples Institute at Seattle University. Elizabeth Anita Roastingear (’16) is Associate Professor of English and was appointed Department Chair for the Navajo Technical University School of Arts & Humanities in May 2018. You can read Anita’s review of How to Be an Indian in the 21st Century, by Louis V.Clark III (Two Shoes) in Tribal College Journal. 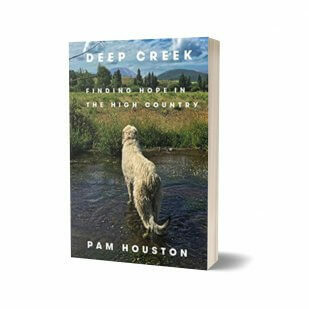 Anita won a top prize for The Best of the Best Literary Nonfiction at the University of North Texas 2018 Mayborn Literary Nonfiction Conference for “Ace,” a story of her personal childhood memories growing up as a Cherokee girl. “Ace” won third place—an award of $1000 and publication in Ten Spurs. 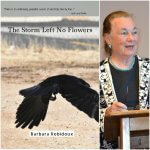 Barbara Robidoux (’17) published The Storm Left No Flowers, a poetry collection, by Finishing Line Press in November 2018. She will be reading at the AWP conference in Portland in March and the Crestone Poetry Festival in Crestone, CO in February 2019. Andrea L. Rogers (’18) published in the November 2018 issue of Kweli Journal. Jake Skeets (’18) on The Rumpus, “Presence: The Heartspeak of Indigenous Poets”. Jake’s first poetry collection, Eyes Bottle Dark with a Mouthful of Flowers, is forthcoming from Milkweed Press in 2019, and was a National Poetry Series 2018 winner. He serves on the English faculty at Diné College. 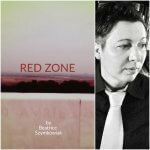 Beatrice Szymkowiak (’17) will be reading from her new poetry chapbook, Red Zone (Finishing Line Press, 2018) on March 30 at Bright Side Bookshop in Flagstaff, AZ. Angela C. Trudell Vasquez (’17) publishes her debut poetry chapbook: In Light, Always Light, Finishing Line Press, forthcoming 2019. Four of Angie’s poems are published on the Poetry Foundation website. Two poems, “Scribbling” and “Wheel Kids,” were published in Wisconsin People & Ideas—The Magazine of the Wisconsin Academy of Sciences, Arts and Letters, Spring 2018, Vol. 64, No. 2. Two poems, “Arboretum” and “Everybody is Somebody’s Child,” were published in The Politics of Shelter—A Brackish Daughters Zine, August 2018. “Facial” was published in the November 2018 print issue of Humming Bird, Vol. XXVVII, No. 2, Tijuana. “My People Redux” is forthcoming in RED INK: An International Journal of Indigenous Literature, Arts & Humanities. Angie served as an online poetry mentor for the Speakeasy Project, directed by IAIA MFA alum, Jake Skeets, and was Guest Poet for Chicago’s Haiku Festival in April 2018. David Heska Wanbli Weiden (’18) is the new fiction editor of Anomaly magazine (formerly Drunken Boat). He is the recipient of the PEN American Writing for Justice Fellowship and has joined the faculty of Lighthouse Writers Workshop in Denver. His nonfiction essay, “Carlisle Longings,” has been accepted in Shenandoah, and he will be presenting at the AWP Conference in Portland (see AWP news below). IAIA MFA and BFA Alums Tacey M. Atsitty, Layli Long Soldier, Laura Da’, Jennifer Elise Foerster, Trevino Brings Plenty, and dg nanouk okpik are featured in New Poets of Native Nations, an anthology edited by Heid E. Erdrich. New Poets of Native Nations was recognized as among the Top 5 Poetry Collections of 2018 by The Washington Post. Other poets featured in this anthology have been honored visiting writers and mentors for the IAIA MFA program, including Natalie Diaz, M.L. Smoker, and Cedar Sigo. 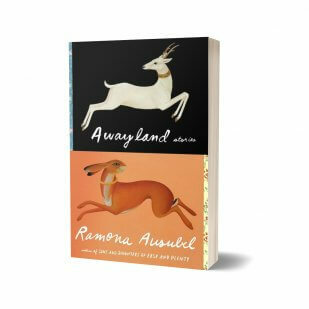 Read Ramona Ausubel’s interview with >Westword on Oct. 31, 2018 about her latest short story collection, Awayland: “Fabulist Fiction Author Ramona Ausubel on Colorado’s Influence on Her Work”. Marie-Helene Bertino is an O. Henry Award winner and author of 2 am at the Cat’s Pajamas. Her two new novels have been sold to Farrar, Straus & Giroux: Parakeet (to be released in 2020), a warm, darkly absurd novel following a bride who, in the days leading up to her wedding, is visited by her dead grandmother in the form of a bird, sending her on a quest to find her estranged brother that also uncovers the lingering effects of serious trauma; and Beautyland (to be released 2022), a novel about an extraterrestrial woman raised on Earth who documents human joy and loss for her rapidly disappearing home planet. 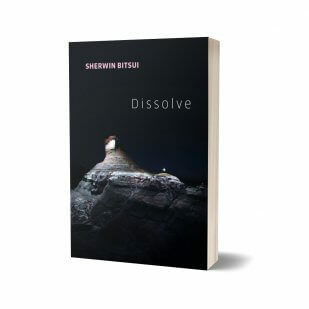 Sherwin Bitsui’s third book of poetry, Dissolve, was released this Fall and has been met with rave reviews from the New York Journal of Books, Ploughshares, and Publisher’s Weekly, among others. Dissolve, Bitsui’s third book, is published by Copper Canyon Press. Read full reviews at New York Journal of Books, Publisher’s Weekly, and Ploughshares. Also see a reading and interview with Sherwin in Poets & Writers, October 2018. Honorable Mention in Cutthroat: A Journal of the Arts in the Rick Demarinis 2018 Short Story Contest. “Wellspring: Words from Water/Manantial: palabras del agua,” “Poem for a Tattered Planet: If the Measure is Life/Poema para un planeta hecho trizas: si la medida es la vida,” and “Of the many ways to say: Please Stand/Sobre las muchas formas para decir: por favor, levántate,” Translations by Juan Sanchez and Andrea Echeverría, in “Keepers of Minerals, Forests, and Waters,” Dialogo Magazine, forthcoming Spring 2019. Five Poems, Undocumented: Great Lakes Poets Laureate on Social Justice, eds. R. A. Riekki & Andrea Scarpino (East Lansing: Michigan State University Press, 2019). “Flights,” Thanku: Poems of Gratitude, edited by Miranda Paul (Minneapolis: Lerner Publishing, 2019) 5. “Captivity,” “Fantasies of Women,” “Goodbye to All That,” “Of Fractals and Pink Flowering,” and ““Air is Between These Words, Fanning the Flame”: Poetry and Literary Inheritance,” Native Voices: Honoring Indigenous Poetry from North America, ed. Dean Rader & CMarie Fuhrman (Tupelo Press, 2019). “Ghost Fishing: Eco-Justice Poetry and the Diasporic City,” Kimmel Center for University Life Windows, NYU (New York University), New York City, NY. September 10-November 16. Picto-Poems Exhibit, Galena Center for the Arts, Galena, IL, October 12th, 2108-January 13th, 2019. “(Ab)Original Forms: Great Lakes Indigenous Writing,” MLA Conference, Chicago, January 4, 3:30-4:45. “McNickle Center Winter Storytelling,” Saturday, January 19, 2019, 10am to 5pm, Baskes Hall, D’Arcy McNickle Center for American Indian and Indigenous Studies, Newberry Library, Chicago. Reading, River Styx’s Reading Series, St. Louis, MO, February 18, 2019, 7:30 p.m.
Jennifer Elise Foerster will be a Key Note Presenter at the 2019 Native American Literature Symposium (NALS) March 7-9 at Mystic Lake Hotel & Casino, Minnesota. Toni Jensen is a winner of the 2018 Sustainable Arts Foundation award. Toni Jensen’s new memoir, Carry, has been sold to Balantine. Carry is a memoir-in-essays about the author’s interactions with guns and gun violence as a Metis woman, a professor on an open-carry university campus, and the daughter of a father with a lifelong NRA membership, interweaving personal narrative with history, mapping the violence enacted on both indigenous women’s bodies and indigenous land. Joan Kane was interviewed by New Mexico in Focus, a Production of KNME-TV. The program aired on November 23. Contemporary Writers, University of Washington Press, Spring 2019. Tommy Orange’s novel, There, There, was recognized as one of the 10 Best Books of 2018 by The New York Times. Read Tommy Orange’s November 2018 article in the Washington Post, “Why Thanksgiving isn’t necessarily a celebration: A Native American Writer’s Take”. Mentors Jennifer Foerster, Pam Houston, and Eden Robinson to be Featured Presenters at the 2019 AWP Conference in Portland. David Heska Wanbli Weiden: Outsiders in Minority Fiction: When You’re From Where You’re Not Supposed to Be. Sat. March 30, 10:30 am. Read more about these panels at the 2019 AWP Conference website.